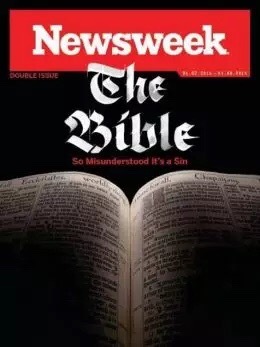 Many have already seen the recent rant against the idea of the reliability of the Bible in the January 2nd issue of Newsweek. The article is subtitled “so misunderstood, its a sin.” And no one seems to misunderstand the Bible, its origins and transmission as does the article’s author Kurt Eichenwald. Rather than simply add my own voice to the discussion, let me point you to Albert Mohler’s clear and cogent response to the article. In that response, someone truly qualified to deal with the topic, demonstrates how truly unqualified Mr. Eichenwald is, and how sad that Newsweek would launch such an attack on Christians and Christianity.